The Vivo Y95 packs a 6.22" FullView display powered by a Snapdragon 439 SoC, 4GB RAM, AI-equipped cameras with Google Lens technology, dual 13MP +2MP main cameras, a 20MP front-facing camera and a 4030mAh battery. 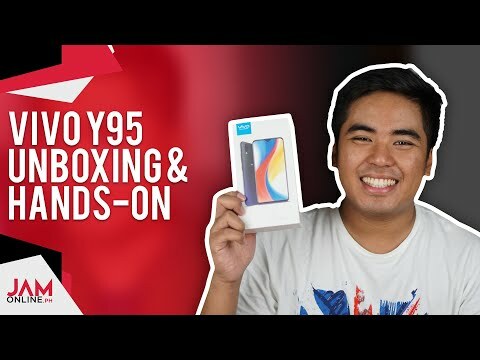 The lowest price of Vivo Y95 is P12,000 at Lazada, which is 35% less than the cost of Y95 at Lazada (P18,599). The latest price of Vivo Y95 was updated on Apr 19, 2019, 09:56. The Vivo Y95 is another top-notch front design device with full-screen view display. The key features that the device offers are its large screen, dual camera, and high megapixels, large memory, large battery capacity, and much more advanced technology feature. The Vivo Y95 comes with a whopping 6.22 inches full-screen view with an IPS LCD capacitive touchscreen display. It has a screen-to-body ratio of 82.9%. It measures at 155.1x75.1x8.3 mm and weighing 163.5g. It is equipped with dual nano-SIM support with dual standby mode features. For its data connection, it is even supported by a 4G LTE network. When it comes with the Vivo Y95's display resolution it is at 720x1520 pixels, 19:9 ratio and 270 PPI density with a multi-touch feature. Just like other Vivo devices released in the same year, It runs on the UI of Funtouch OS 4.5 based on the operating system of Android 8.1 Oreo version. The Vivo Y95 is powered by a 1.95 GHz Octa-core Qualcomm SDM439 Snapdragon 439 along with the GPU of Adreno 505. It has 4GB RAM with 64GB internal memory as a built-in memory and can be expanded using a microSD card as the external memory up to 256GB capacity. For its camera quality, it has a dual lens which offers 13MP, f/2.2, PDAF and 2MP, f/2.4, depth sensor with LED Flash. It has a good camera setting and mode feature options which includes HDR and Panorama. The main camera for video recording has a resolution of 1080p@30fps. For its front camera has a single lens of 20 MP f/2.0, HDR, 1080p, which is great for selfies and video recording using the front lens. Listening to music is great with this device because it comes equipped with great loudspeaker features and still has the 3.5mm jack headphone adapter and has active noise cancellation with dedicated mic feature. When it comes with connectivity options, the Vivo Y95 include Wi-Fi, GPS, Bluetooth v4.20, and USB OTG. Sensors include an accelerometer, ambient light sensor, compass or the magnetometer, gyroscope, proximity sensor, and fingerprint sensor. The Vivo Y95 also comes with good multimedia features, it has stereo speakers, MP4, MP3, and Full HD Supported Player and Google Play, Facebook, Google+, Twitter, HTML, FM radio, Image and video viewer and editor and Microsoft Office document viewer and editor, SMS, MMS, Emails, I mail, Push mail, and threading view Text input which are good addition to the phones features. The Vivo Y95 supports face unlock, which is a great security feature of the device. When it comes with its power capacity, it has a 4,030mAh non-removable battery, which is one impressive feature of this phone. 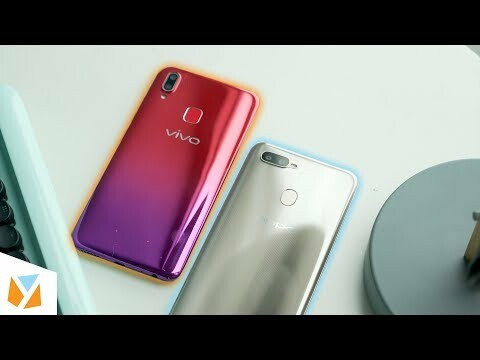 The Vivo Y95 has 3 color options available to choose from, Starry Night, Nebula Purple, and Aurora Red. The Vivo Y95 is one of the best mid-range devices where it offers an awesome feature to the user. It was officially released in the Philippines in November 2018 and its official price of Php 15,600. It is one of the latest smartphones of the Vivo brand where it offers a very affordable price. nice and best quality ever!